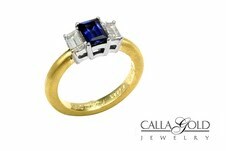 Calculating the Cost of Gold Jewelry, Is There a Rule of Thumb? What is the cost of gold jewelry? How does the cost of gold jewelry compare to the price per ounce of gold on the metals market? Are rings more expensive by weight than chains? What is retail markup? What makes one type of gold jewelry more expensive than another? 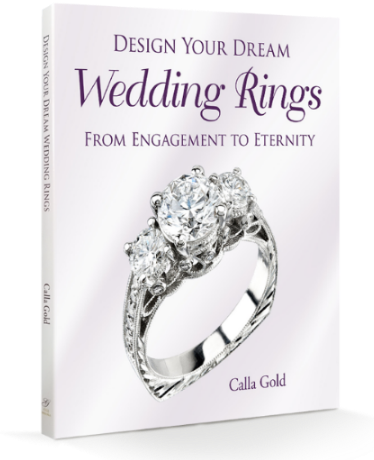 Here at Calla Gold Jewelry we get asked and try to answer all kinds of jewelry questions. With help from my mathematically happening husband Jeremy, we take on these questions! Is There a Rule of Thumb to Predicting the Cost of Gold Jewelry to Buy? Is there a rule of thumb a person can use to calculate the cost of a 14k piece of jewelry? I wish it were that easy. Let’s break it down in to what we can figure out. 24k gold is 100% gold. Why the number “24”? All you need to know is it’s an ancient story having to do with kings and seed pods, best left for another time. Do know this: 14k gold is 14 parts real gold and 10 parts other metals, or expressed as a percentage, 58% gold and 42% other stuff. 18k gold is 75% gold and 25% other junk. Unfortunately, pure gold is typically sold by the ounce while karat jewelry (kt.) is usually sold by the gram. Thus, we have to convert ounces to grams to find out the cost of the gold in a particular piece of jewelry. One troy ounce equals 31.1 grams. 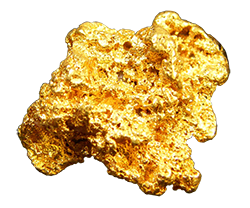 If pure gold is selling for $1300 per ounce in the metal markets, then one gram is going for $41.80 ($1300/31.1g). "Give Me a For Instance"
So let’s say a particular 14k gold chain weighs 20 grams. Remember, only 58% of the weight is pure gold. The other 42% is a conglomeration of other metals. (Called alloy metals). So: 58% of 20g = 11.6g. In other words, out of that 20 gram chain, only 11.6 grams of it are pure gold. And with gold at $1300/oz.—or $41.80/gram—the gold in the chain would be worth $484.88 ($41.80 x 11.6 = $484.88). This value (the $484.88) is what is known as the “melt price” of this particular chain. The “melt price” refers to the actual price that your jeweler would receive from a refiner if they chose to melt it down and just be paid for the value of the gold. The melt price, like the gold price, changes on a daily basis, but as long as gold stays stable in price, it will pretty much remain the same for any given period of time. Keep in mind that the melt price does not take into consideration any other factors, such as labor to create the piece, any stones that may be set into the piece, or any margin for profit that will be added on at the point of sale. We’ll discuss these points below. But wait! In the store that 20 gram chain is selling for $1,500.00 What’s up with that? 1. Our calculations up to this point haven’t included the cost of the other metals. 2. We haven’t figured in the cost of labor to make the chain. 3. We haven’t bumped up the price to a retail level. So far, we've been figuring things out on a beginning level. Explanation With Lots of Math! What this means is that if the 20 gram chain is selling for $1,500.00 and $484.88 is the cost of the gold, the other $1015.12 ($1500.00 - $484.88 = $1015.12) includes the cost of the other metals, the labor, and the jeweler’s profit. What percentage is the cost of the other metals? The labor? And the markup from the jeweler? Unknown! All I can tell you with certainty is that if pure gold is selling for $1300/oz. and the weight of the 14k chain is 20 grams, then the melt price of the gold is worth $484.88. There is no way to know what the jeweler paid for the chain from the manufacturer. Furthermore, we don’t know what gold was going for at the time of purchase. The jeweler might have bought it when gold was at $1200.00 per ounce. Or $1800.00 per ounce! Finally, we’ve only talked about the gold. If there are gemstones in the piece… Yikes! So for that reason we'll just speak to gold-only jewelry in seeking a rule of thumb. "What Should I Expect the Markup to Be?" To have a rule of thumb on what mark-up to expect, think a minimum of double. If the cost of a chain is $500.00 expect to pay $1,000.00 or more. A machine made chain will have a cost of the gold, plus alloyed metals, plus labor to make it. Any retail mark-up of course takes into account rents, marketing, staffing and we just won't go there. Just know that the reason you can't get it at the price the jeweler does is because you aren't buying a kilo at a time from a gold manufacturer. A popular style of gold chain will be more reasonably priced than say a pair of earring as an earring takes more time and steps to make. Also a company might make 100 pair of earrings in one year, while they make 1,000 pieces of a frequently ordered chain style. They can make that chain style again and again for years, but the styles of earrings change regularly, and the cost of designing and testing each earring style would increase the overall cost of the earrings as well. "How Do Designer Jewelry and Custom Jewelry Prices Get Figured Out?" If you have a one-of-a-kind custom-made ring created for you, your price to be paid will be greater, than a ring of similar weight and style that was factory made. The cost of a custom made ring includes the time of t he designer to create it, as well as the wax carving or CAD/CAM creation, casting, polishing, setting and adding the special finishes or textures plus any engraving that make your ring unique. 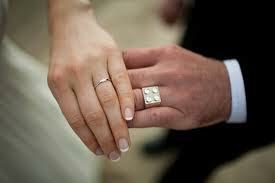 A custom wedding or engagement ring has no economy of scale because it is one of a kind. So expect to pay more for the singular care that goes into its making. The more multiples of that piece of jewelry that are out there in the marketplace, the less you pay by weight for the design and initial set up to make it. That cost has been absorbed by the many pieces made. He Wanted a Lego Ring. He Went Custom. Where you’re getting the "only one" or " a style made just for you," you are paying for a work of art, not something that was mass produced. The fame and popularity of the designer will also have an effect the price you’ll pay for their design work. 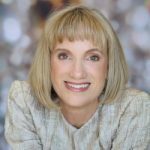 There really is no rule of thumb for figuring this stuff out, but now that you are armed with some information, I hope you feel more comfortable when shopping for jewelry and know what to expect. Get something that is as unique as you are. Great article. I wrote one on this and I had to actually take some scrap gold that came in and weigh it and price it out for customers! I passed, and I’m not a math whiz…it’s very confusing!! This blog post covered all the information about gold pricing in jewelry. Prices, weight, purity etc. all things are easily understandable in your article. This is a pretty gutsy post. I’ve asked the question before, why does jewelry cost what it does? Not because I want a wholesale price, just because I want to know so that I don’t feel stupid or ripped off. 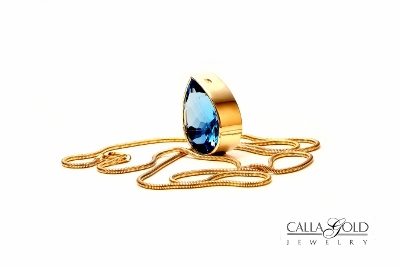 I like your Calla Gold Jewelry blog here and will check it out again. I’ve bought a couple of necklaces and full sets with earrings etc. so know how expensive gold is. However until I read this I had only a limited knowledge of what I was paying. The jewellery that I was buying was split as follows: gold price + VAT + labour + (markup) + polishing (which I am told is added as gold is removed when designing made to order custom pieces, I was ordering from trade brochures mainly from Singapore). In all a very good web page. Isn’t it a good deal? I have recently been looking for a new 18K – 22K 2mm 20″ – 22″ (50cm – 55cm) cuban link gold chain. I have looked at some online places such as amazon, ebay, and etsy and am very confused about the pricing. There is such a wide variety in terms of pricing some range from a few dollars to other upwards of $200. They claim to be 18K, but the very low selling price has me skeptical for (seemingly) obvious reasons. I am not sure what to think at this point. Any and all advice would be much appreciated. How one can be sure that 22k jewellery they are buying is really 22k. The jewellery was stamped 22k too and bought from Gold House jewellers in Toronto, Canada.